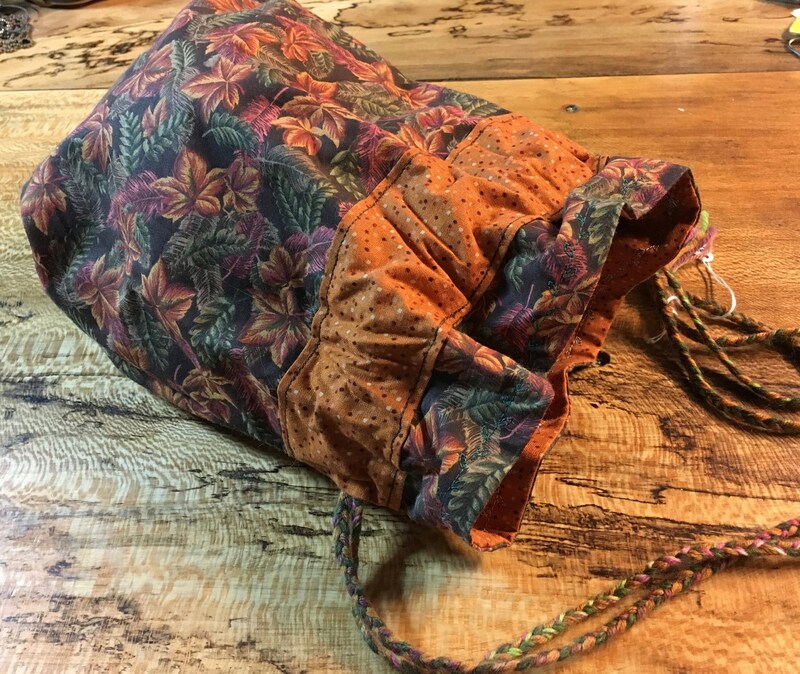 This bag is just the perfect size for small projects like socks, beading projects, scarves, hats, stitching projects, small crafts. Use this to keep projects separate - we all know that working on several projects at the same time just happens!! Add your personal items to this as well to make your life simpler on the go - your phone, makeup, wallet. 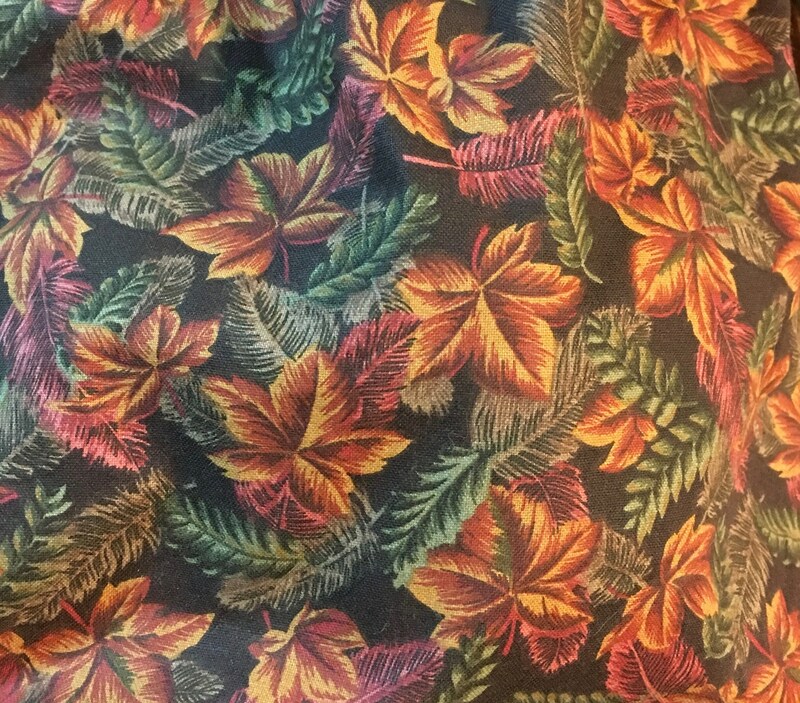 Lovely fall print of orange maple leaves with a green background! Great boxed bottom on the bag helps it sit up easily. I added a decorative brown machine embroidery trim at the very top. 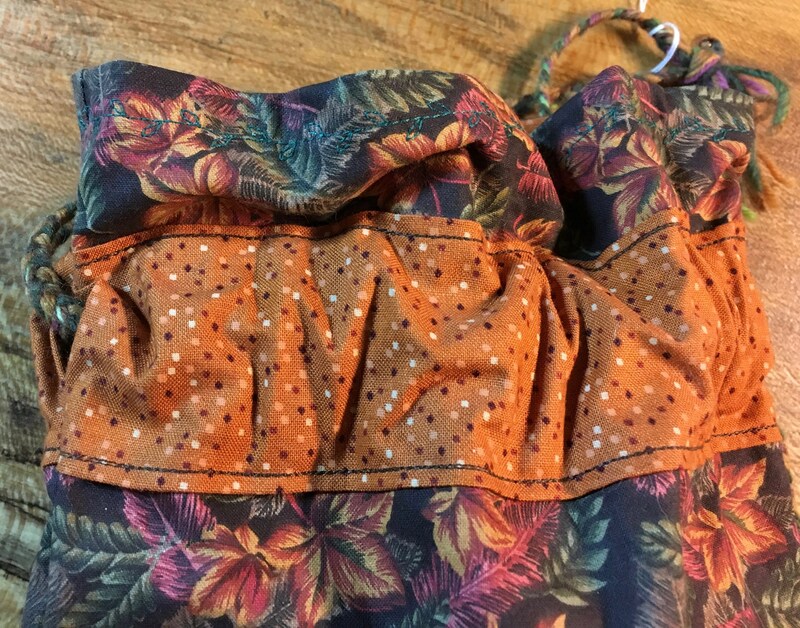 The inside lining is a coordinating orange dot patterned design. 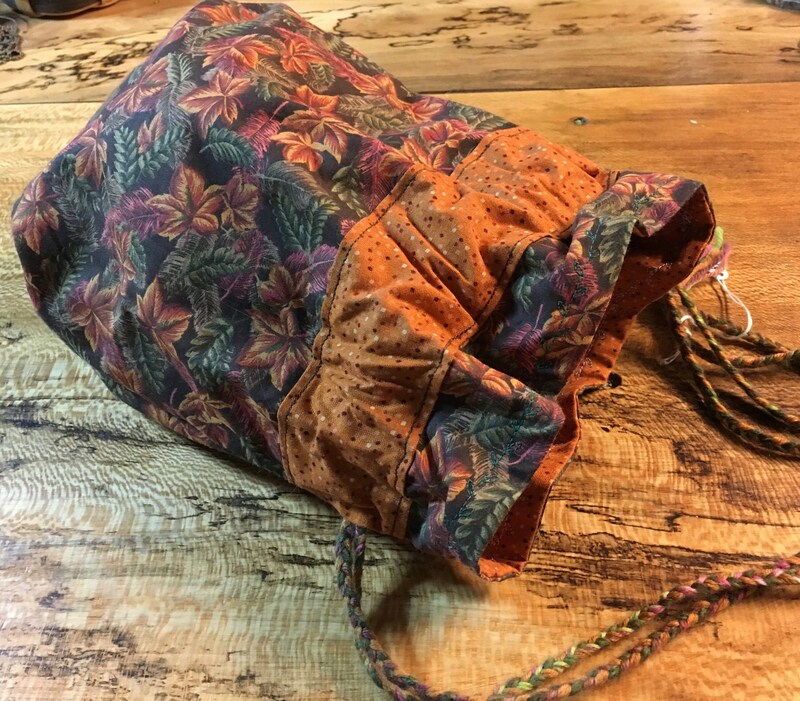 The inside lining matches the outside drawstring pocket. Drawstring is a mix of various yarns that coordinate with the colors of the bag - all yarns are twisted into a rope. 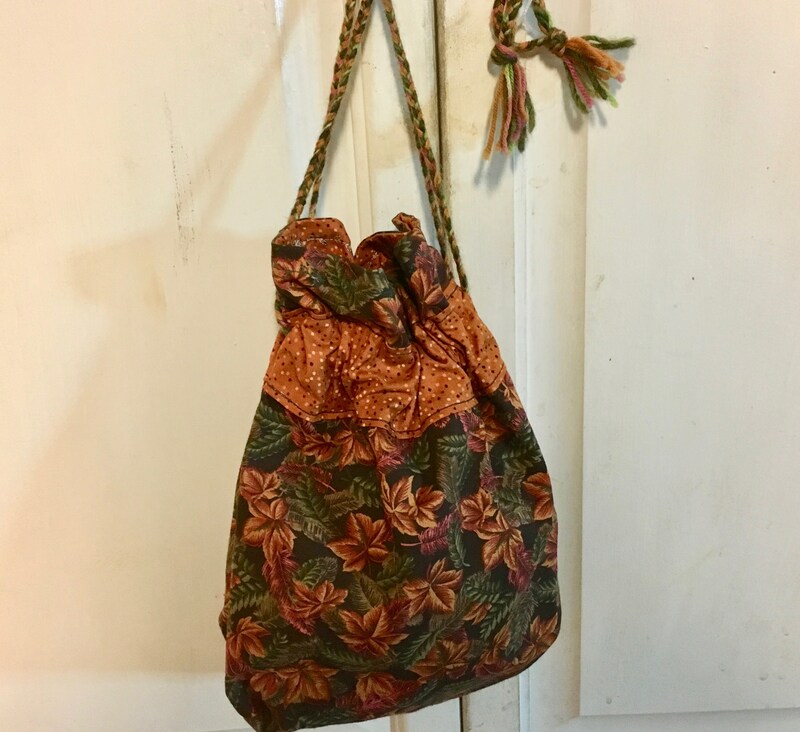 This bag measures approximately 11" x 8" - it is 100% cotton and it is machine washable, gentle cycle please with like colors, turn inside out to protect the drawstring or hand wash! All my project bags are handmade by me, using all sorts of fun fabrics I find hither and yon. 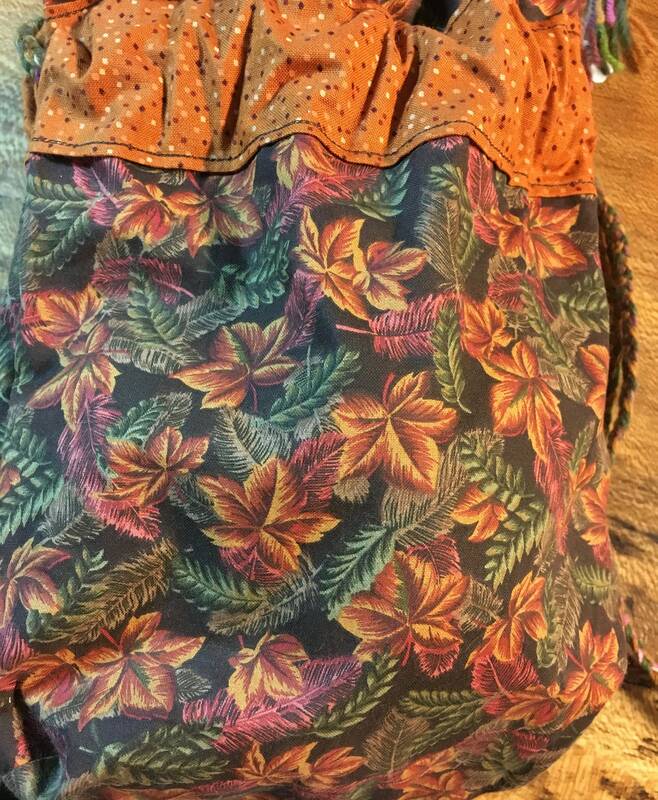 Each bag is one of a kind.